When completed, LACMA will be one of the largest and most diversified museums in the United States. The Broad Contemporary Art Museum (BCAM) building is the first phase of the master plan guided by the vision of renowned architect Renzo Piano. 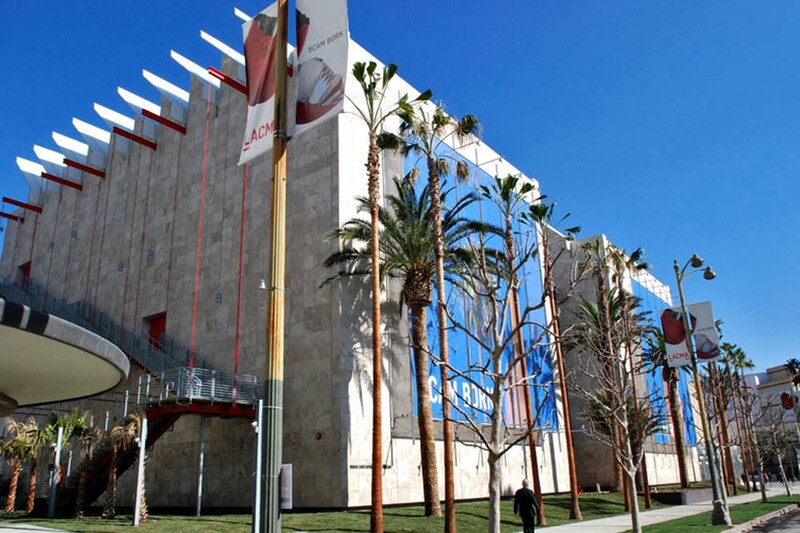 The transformation of the entire LACMA campus was ignited with the largest single donation ever received by the museum. Architect Renzo Piano has worked on some of the most famous museums around the world. The use of natural materials, simplistic shapes natural light in his designs place Mr. Piano in a class of his own. Showcasing his visionary ways, Renzo Piano utilized a uniquely finished exterior travertine, glass roof and elaborate exterior stairs will ensure that LACMA is treasured museum for generations to come. The 72,000 square foot three story museums’ structural steel design allows for one of the largest column free museum spaces in the United States. The lack of steel column supports allow for very large displays to be placed at almost any location. The roof is made up entirely of glass with motorized sunshades to help control the intensity of the Southern California sunshine. These efforts are intended to preserve the art and guarantee that generations to come can enjoy the art. The final stone design required 56,000 square feet of Travertine clad steel stud panels with hand set stone at the caps and rooftop mechanical areas. A total of 400 panels were used to enclose the two (2) identical structures that make up the BCAM. The stone panels were assembled offsite in Fontana, California and trucked to the project site. The lack of windows and the double height of the floors made the installation of the panels complicated. The south elevation includes a scrim curtain on both structures that is used to display large paintings or signs. The attachments for this scrim took many hours of coordination and detailing to ensure that the structural attachments already placed on the building structure would align with the supports installed in the panels. Further detailing and coordination was required to ensure that the scrim supports would be watertight and not compromise the secondary water system that is part of each panel. The secondary water system also included caulking between panels at the metal stud frames. This entry was posted in Design Build on August 20, 2014 .